Our next show is on a special Sunday this month. Mark your calendars for April 27th! Above are Chad and Patty setting up our great show in March. With Easter on the third Sunday this year, the next show will be a week later – on April 27th. 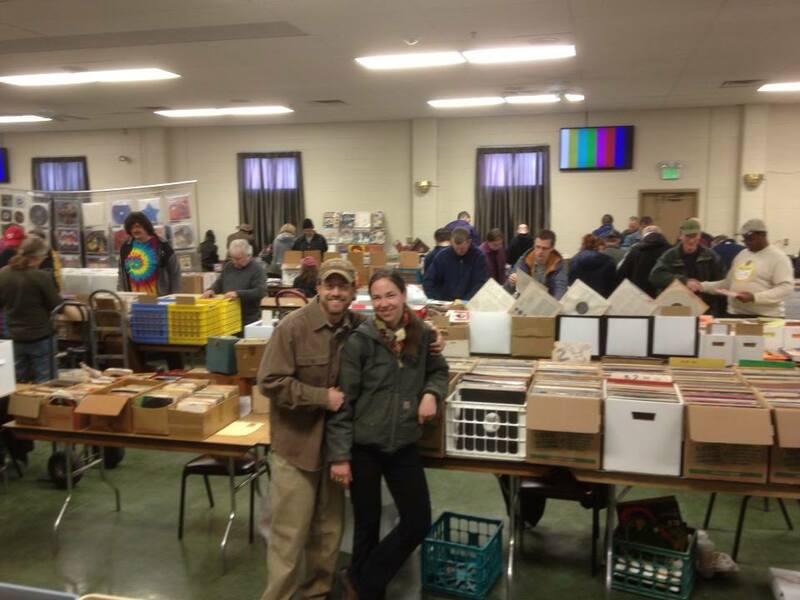 Spring has finally sprung with the return of our great vendors and special finds. We came across this one below. A classical album, Ravel’s “Daphnis and Chloe” contains book pages with early work by Andy Warhol who contributed illustrations. One of our longtime vendors, John Wood had this great find. All our vendors have something special and different. 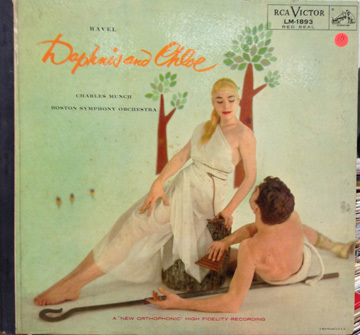 Before Andy Warhol became a famous modern artist, he did illustrations for record albums like this one for a recording of Ravel’s “Daphnis and Chloe. This entry was posted in music and tagged albums, Arbutus Record Show, big band, books, CDs, collectibles, country, country music, DVDs, gifts, jazz, posters, R&B, record show, records, rock and roll, rockabilly, soul, soundtracks, T-shirts, vintage, vinyl by arbutusrecordshow. Bookmark the permalink.